Barbra Schulte is a respected author, trainer, and clinician who has had a lifetime involvement with horses. Growing up on a ranch, Schulte helped market and show her family’s horses and she competed in several events including reining and cutting. Taking time to focus on her education, in 1977 Schulte earned a Master’s Degree from Western Washington University in speech pathology and audiology. Upon graduation she taught at the University of Arizona, but it wasn’t long before Barbra found herself back with horses as she developed a career as a horse trainer. By applying Dr. Loehr’s techniques from the book Mental Toughness, she refined her methods as a trainer. Schulte has produced a three-part video training series, and has published two successful books Cutting, One Run at a Time and THE GIFT. 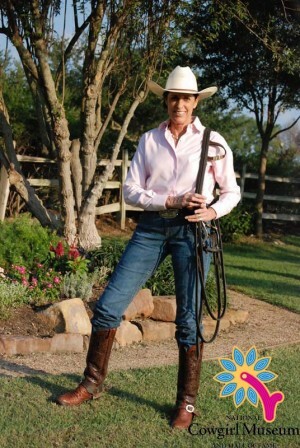 In 2000 Schulte was presented with the National Female Equestrian of the Year Award given by the American Quarter Horse Association and the Women’s Sports Foundation. Schulte currently lives in Texas with her husband Tom where she trains and continues to show cutting horses. Barbra personifies the strength, talent and determination found in every true cowgirl.